Oh, yeah, and one last pic. Joseph Smarr and I were so proud and excited to see this day, that we had to dash over and take our picture with the gigantic “open” banner! 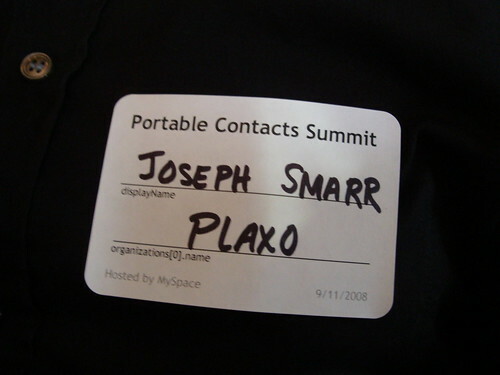 Joseph Smarr, Plaxo’s chief platform architect, and de facto leader of the Portable Contacts initiative, gave a talk today at the Web 2.0 conference in New York. 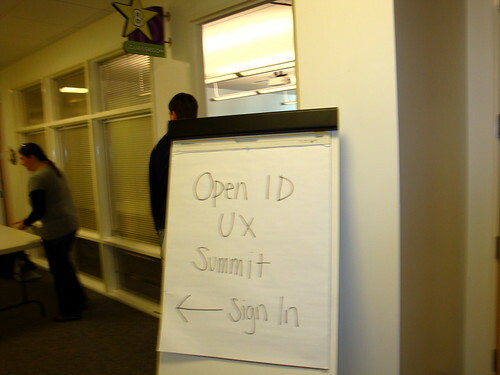 Entitled “Tying it all together; Implementing the Open Web,” it was a rallying cry for developers to jump in and get working on the new “open stack” of OpenID, OAuth, OpenSocial, XRDS-Simple, and Portable Contacts. 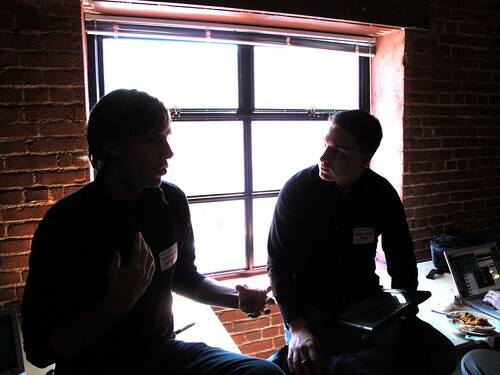 See converage from attendees Kris Jordan and Steve Kuhn (who quips about Joseph, “Dude talks fast”)! 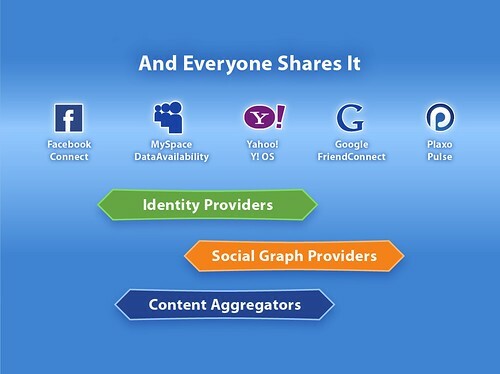 And, indeed, that is the vision behind the strategies we see from Google (with Friend Connect; which launched for real today), Plaxo (with Pulse), MySpace (with Data Availability), Yahoo (with Y!OS), and, yes, even Facebook, too (with Connect). Thanks, SGI, for the Gift of OpenGL! I am so pleased to see SGI in a good news story today, after all the years of decline and sadness. Apparently there’s been a problem brewing with the license under which SGI was making OpenGL available, as in it was a license that was “accepted by neither the Free Software Foundation (FSF) nor the Open Source Initiative,” according to Bruse Byfield of Linux.com. The problem has now been resolved through a new license. Details can be found in a press release from SGI. 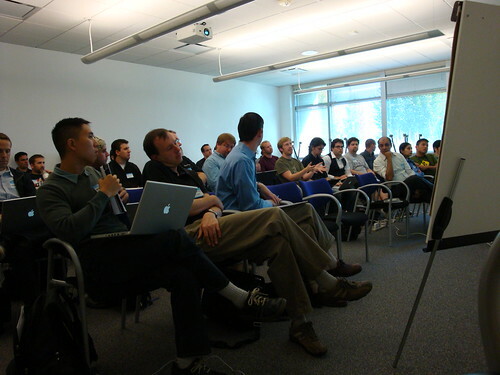 The new license was applauded by both the Free Software Foundation (FSF) and the Khronos Group, an organization developing royalty free standards around OpenGL. I’ve been thinking about OpenGL recently, as it helped introduce me to open standards, years ago when I worked at SGI. Back in late 1995, after I persuaded SGI to become the first licensee of Java, I tried (and failed) to convince Sun to follow SGI’s lead to make Java a truly open standard, rather than a Sun proprietary thing, with heavy licensing. Now, as we work to solidify and gain traction for a “new open stack” for the emerging Social Web, I continue to be inspired by the bold idea behind turning SGI’s proprietary “GL” (Graphic Library) and into OpenGL. 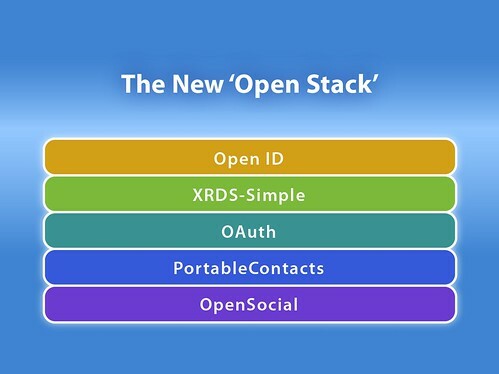 The new open stack is comprised of OpenID, OAuth, OpenSocial, XRDS-Simple, and Portable Contacts. 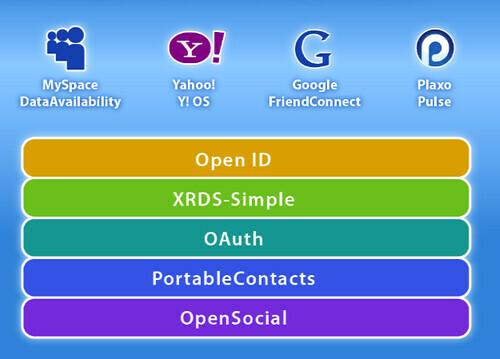 Projects as diverse as MySpace Data Availability, Y!OS, Google Friend Connect, and Plaxo Pulse now share a common vision (of an open interoperable Social Web) and are being built out on this common set of open spec building blocks. 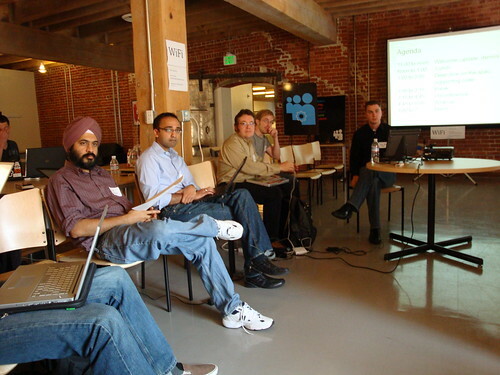 Each company can innovate faster by not having to waste development resources on creating one-off proprietary APIs. 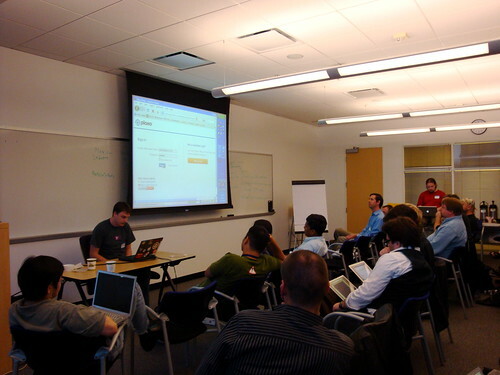 Each company can see more rapid uptake by developers, since those developers can write once and have there code work in more places. 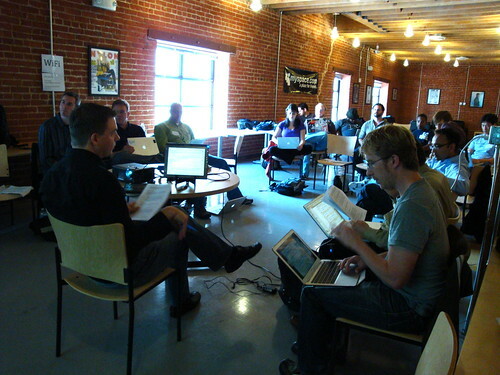 And each company can be part of the virtuous cycle of acceleration by contributing code to the open stack. 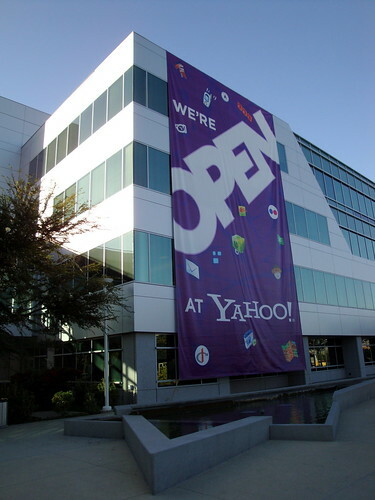 Yahoo’s “Y!OS”: Strong Proof the Web is Going Social — and Open! 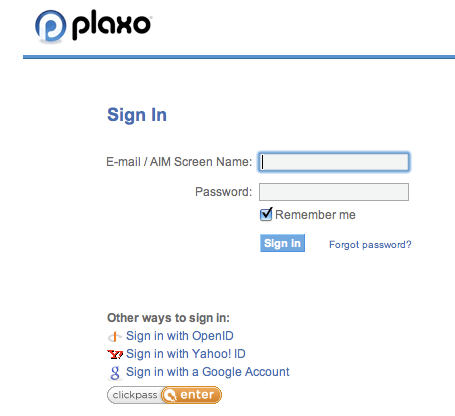 Just as the “open” wave is transforming social network from walled gardens into aggregation hubs for connecting with the rest of the Web, Y!OS will transform Yahoo from a traditional portal into something entirely new. 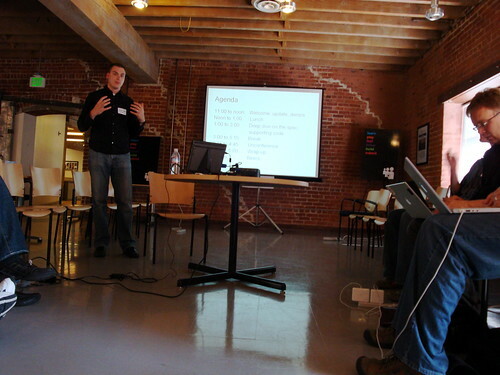 They’re doing it all by building on top of open spec building blocks, including OpenID, OAuth, and OpenSocial. 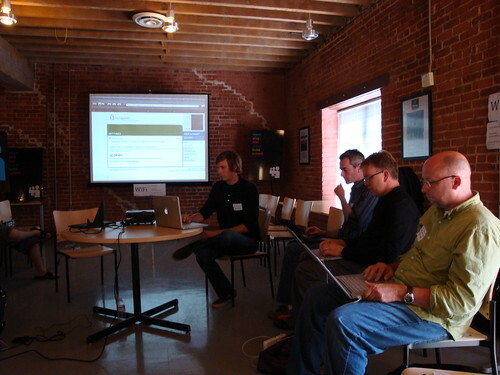 And they’re not just taking these blocks off the shelf; they’re also giving back, contributing their own innovations in the spirit of let’s-all-work-together to keep the web open. 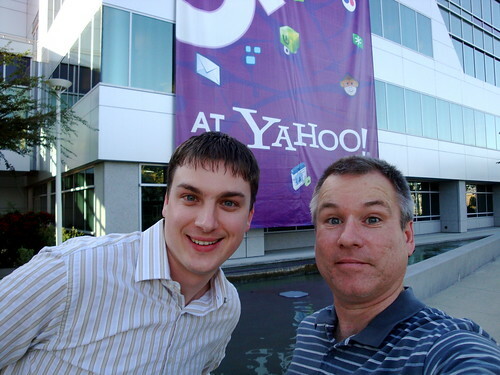 To learn more about Y!OS, we invited Cody Simms, Sr. Director of Product Management from Yahoo on to our weekly Internet TV show, The Social Web TV. Cody is a really dynamic guy; I think you’ll agree this is a great episode!